Let's hear it for ugly fruit! Given that the meagre fruit from my veg patch apple trees has long gone, I could hardly believe my eyes when I walked into my niece's garden the weekend before last; at the far far end of the garden, the branches of the two eating apple trees were still weighed down with fruit. 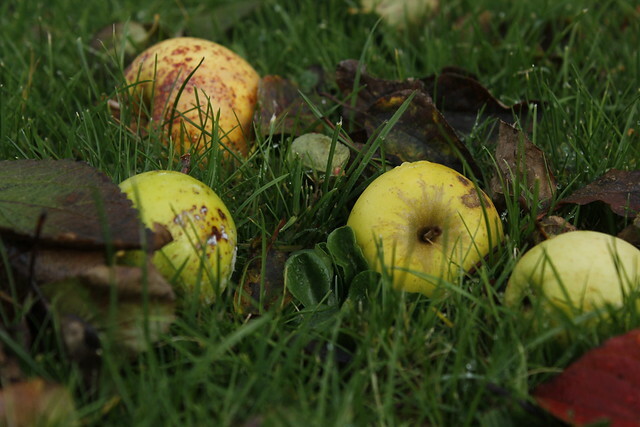 Not only that but the grass all around was littered with windfalls so the fruit was definitely ready for picking. What would make your perfect weekend? There's always something calling for my attention so the ideal weekend for me is when I make time to step away from normal life and enjoy something different. It's not often that a few days come together as faultlessly as they did on the weekend before last. For a start I had a free Friday - always a good start! 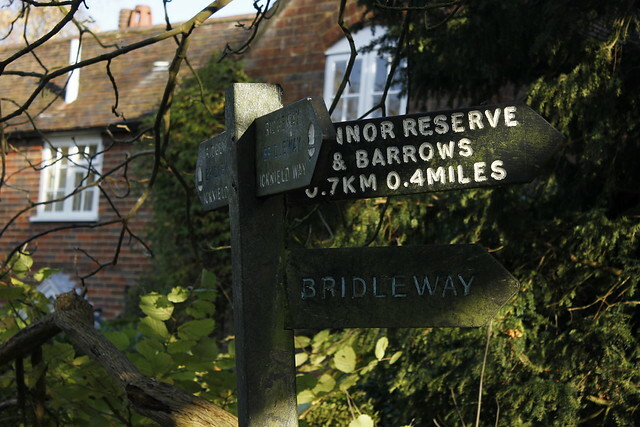 I planned three days of bliss with one day gardening, one day at an RHS show and Sunday walking in the Oxfordshire countryside with family. With sun:rain:sun weather, I couldn't have wished for better. Hoping that the weather forecast was accurate for the weekend, on my agenda for a very wet Saturday was the new Urban Garden show from RHS London. What's that? A gardener hoping for a wet Saturday? I had my reasons; I wanted to get along to the show without having to choose between indoors or outside. The pull to be outside on a sunny day is strong. As you all know, I do love a gardening show, especially when it's new. 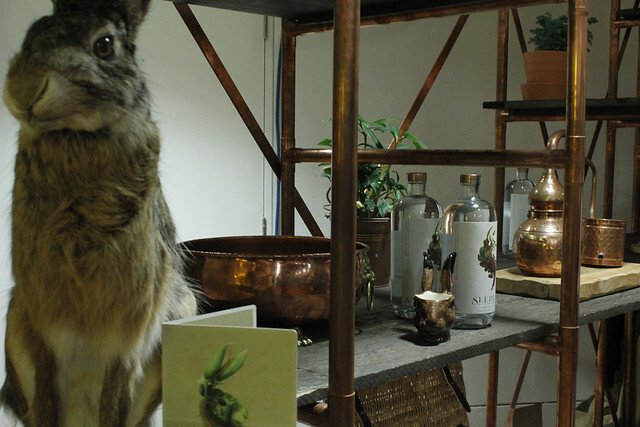 It's good news to see the London shows being extended again with this new addition for small space gardeners. (The early summer Rose Show was added in 2015.) 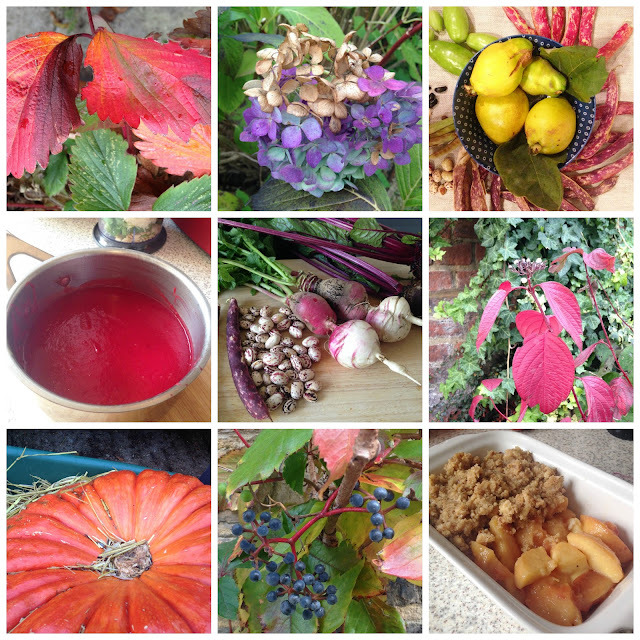 We've recently had the Harvest Festival and Shades of Autumn shows at either end of October, the Christmas Show is still to come (17th/18th December) and now the Urban Garden Show has been sandwiched into November. The RHS Westminster shows that I've been to in the past have allocated a lot of space for the usual retailers and plant displays, with (I'm sorry to say) an uninspiring small café area squeezed into the gallery. Would this one be any different? Happily, yes, I believe so; indications are good. The plant displays were still much in evidence - amazing cactus and tropical plant installations by Cityscapes (see top photo), styled by garden designers Jarman Murphy - and a new host of retailers too. 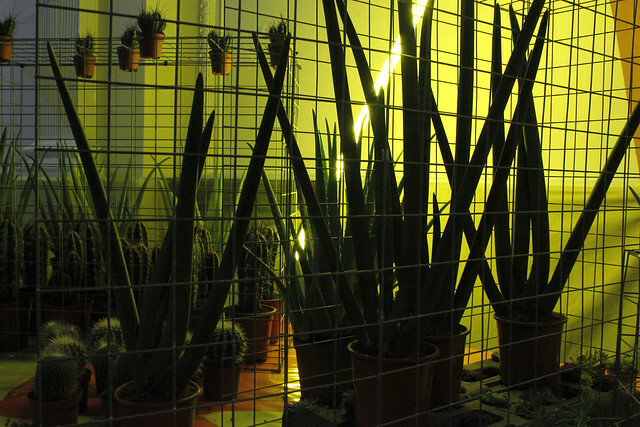 Entrance to the show was by navigating a path through a tropical jungle of potted plants, creating a contemporary ambience which matched the theme of urban and indoor gardens. Surprisingly delicious non alcoholic spirits from Seedlip. The bunny approves. Reluctantly leaving the cake and delicious eats to one side for the moment, the show was all about encouraging and inspiring people to garden, even if space allows for just the one tiny plant. Preferably stylish and in a funky pot or glass bauble. That might sound a tad cynical but actually the show was visually rather exciting. Smaller, nicely understated and with lots of really good artisan eats (vegan or otherwise) and drinks on offer and, crucially, the space to comfortably take a seat and enjoy your food. 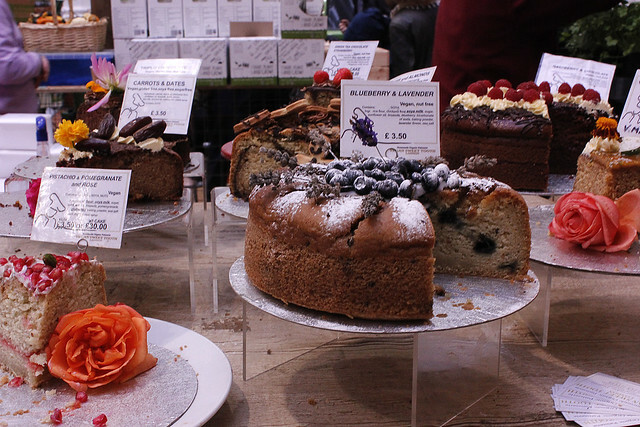 We gardeners like to linger over a cup of tea and a good slice of cake. A cactus retailer named Prick seemed very popular! 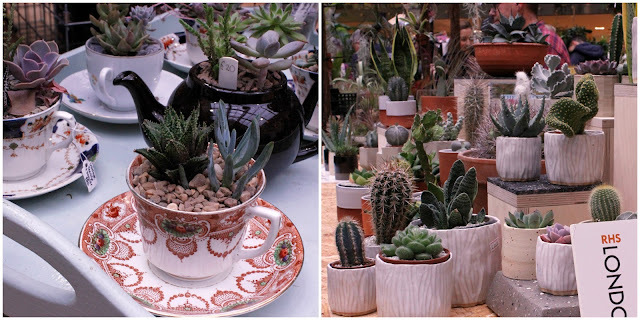 Naturally, there was plenty of retail therapy with the focus on indoor gardening: terrariums, air-plants, cactuses and succulents in abundance, books, apps, bulbs, wooden planters and seeds. It was good to reconnect with Joy Michaud from Sea Spring Seeds; I've been perplexed as to how best to use the tiny Fairy Lights chillies that are still growing on my balcony. Joy makes a delicious freezable sauce with hers; she cuts off the stalk, leaving the rest of the chilli intact (seeds as well), combines with other veg (courgettes, onions, tomatoes, etc) and cooks the mixture to a pulp before cooling and freezing for winter use. I was told that my other round chillies, Tangerine Dream, are best hollowed out and the firm pods stuffed with a savoury filling such as seasoned mince. I was getting hungry just listening. Joy had a beautiful chilli plant on show called Apricot; the fruits are perfect for eating raw in salads as they're mild and perfumed. I was sold on the idea and came away with seeds for next year, plus a small bag of fruits for my kitchen and a big smile on my face. Lovely people, lovely produce. 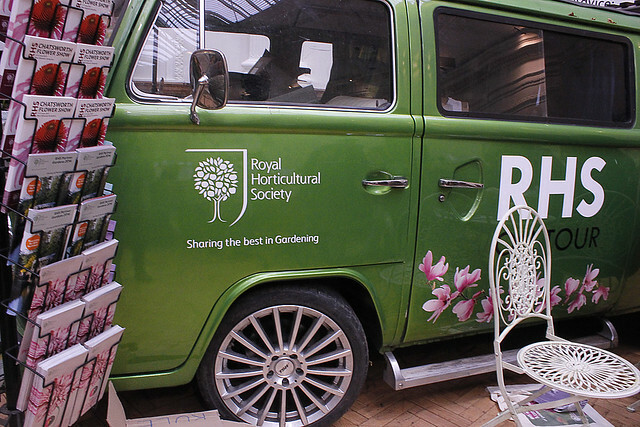 The show would have been sadly lacking if it was only about shopping but there was also an excellent programme of talks and workshops - and advice from the RHS On The Road campervan. There was a very tempting sounding 'behind the scenes' tour of the Lindley Library exhibition 'The City Gardener' but, silly me, I stupidly didn't realise that it had to be booked in advance; disappointment levels were high and lessons learned. This time all went to plan as I got to the show in time for 'Green is the new Black', an illustrated talk on the relationship between fashion, culture and gardening. The talk was by Tom Loxley, the editor of Rakes Progress, a new contemporary gardening magazine. His take on the upsurge of interest from a younger generation of would-be gardeners was interesting and I was able, like many at the show, to have a further chat to him afterwards. His words had put thoughts into my head and afterwards I noticed that there seemed to be a lot of twenty-somethings wandering the hall, engrossed in plants. It seemed everyone wanted to take home a cactus or Hippeastrum. I didn't have time to attend any of the craft workshops but serendipitously bumped into a friend who was proudly showing the two macramé holders that she'd just made at Grace + Thorn's workshop. Apparently, they're the latest trend for household plants. I might have to rescue the ones I made in the 80s from my mother's house! I would have liked to return to the show on Sunday to take a look at workshops on making flower crowns and botanical jewellery, kokedama and succulent frames plus talks on the benefits of a plant based diet, maximising space for food growing and successfully growing indoor plants. I've heard this show is a trial run but I also overheard people remarking on the success of the event - I hope the RHS feels the same way and will be back with this show again next year. It could just inspire a whole new generation of urban and small space gardeners - and it was great that the show tapped into the trend for healthy plant based food and drinks. At this time of year my inner bear wants to start hibernating. With sunset currently at around 4.15, even after the clocks have been returned to Greenwich Meantime, there's very little gardening that can be done after dark. Maybe I'm being shortsighted and should be potting up seedlings by candlelight in a greenhouse or digging by the light of a few well placed torches. Or maybe not. It's tempting to get bogged down emotionally by the shortened days, darker evenings and damp misty mornings which, for those having to go out and earn a crust during the week, means less gardening. Throw in a few rain soaked weekends and it's enough to bring on a severe case of the glums. But, just occasionally, we're given a gift from the gods of a perfect autumn day (or morning) and we've had a few of those this past week. I woke up to another of those days on Sunday which meant I could get work done in the garden and allotment. A slight "WooHoo!" moment ensued as I opened the blinds, even though it was quite chilly outside. By mid-afternoon the rains came down and I returned home, unused strimmer in hand, soaked through. Welcome to the British autumn. But even a short burst of blue skies is enough to put a smile on my face; the colours of autumn on a sunny day make me want to reach for my paintbox. 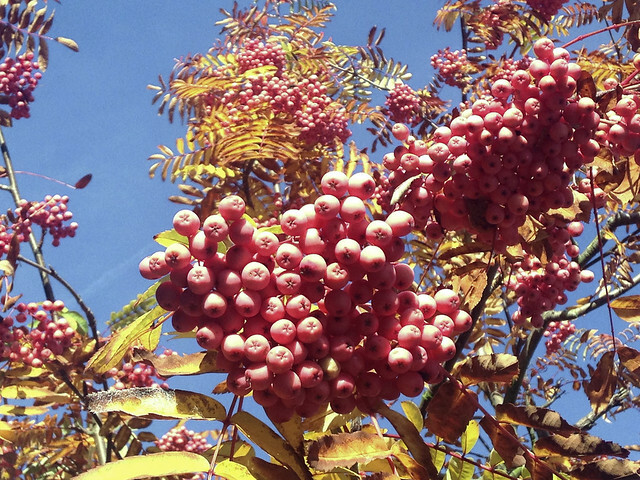 One day last week, I think it was Wednesday, I was wandering around the neighbourhood marvelling at all the berries and fabulous autumn colour against a blue, blue sky. On days like these, it can take me a long time to get where I'm supposed to be going as I'm dragging my iphone out to take pictures every couple of steps. Yes, even in London. Or, perhaps, especially in London (or any urban sprawl) where splashes of autumnal colour can alleviate the city monotones of concrete, glass, metal and tarmac. 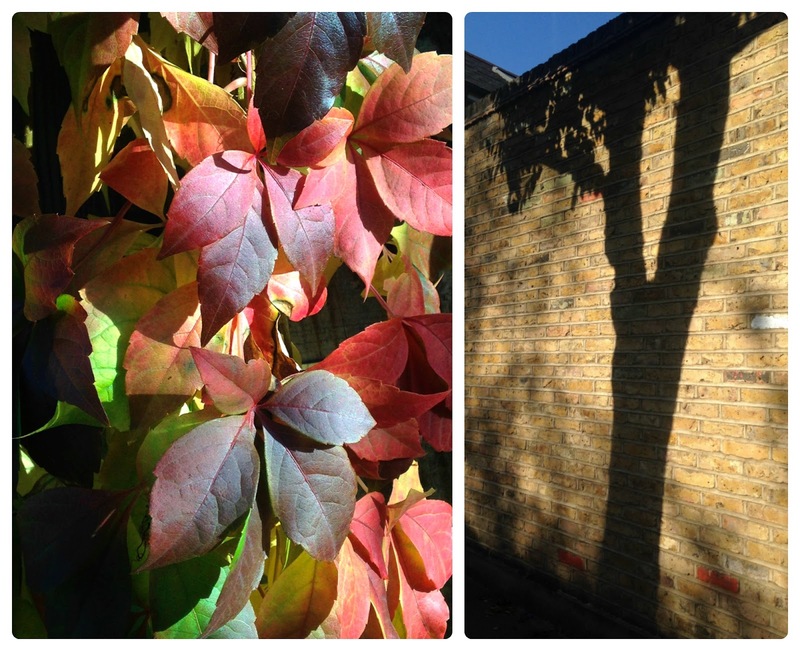 And while autumn slowly tightens its grip on nature, I'm whiling away the darker evenings with planning for next year and some crafting: painting a new seed box, twisting gathered creeper stems into quick wreaths and knitting an essential pair of fingerless gloves. And there's always reading; has anyone got any recommendations for a good page-turner? I'm currently reading 'An Orchard Odyssey' by Naomi Slade; part story, part reference, excellent read for any fruit grower and inspiration for wannabe fruitarians. I'll be reviewing it soon here. There was frost on the rooftops this morning for the first time. I wonder if this is going to be a harder winter than last year? I can't remember seeing frost this early in November in London in recent years. I don't mind frost but it would nice if we didn't get the winter storms of last year. Let me leave you with a few warming moments on this chilly day. 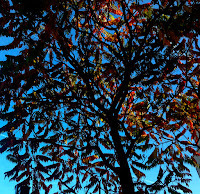 And, finally, I'm in awe of this sumach tree (Rhus typhina) - could there be anything more beautiful? It reminds me of a woodblocked Indian print.